Model United Nations of the Russian Far East (MUNRFE) is one of the largest self-governed non-governmental youth organization of the Russian Far East that empowers young talented people to influence the world around them and fosters student leadership. During 18 years of its existence MUNRFE has conducted such projects as summer educational programs for high-school students, international conferences, seminars and master-classes, self-governance days in universities and cities of the Russian Far East and others. MUNRFE unites about 100 active members in two cities of the Russian Far East: Blagoveshchensk and Vladivostok, and more than 2000 Alumni all over the world. Vision, mission and goals of the Organization reflect the principles and intentions of MUNRFE. MUNRFE Mission - We inspire youth to lead. We unite and help to make first steps. MUNRFE Vision - We build institutions which equip students to: discuss societal problems through open forum debates, launch initiatives which benefit broader community, share knowledge, skills and best practices. 6. Promote the United Nations purposes and principles and assist other organizations and individuals in doing so. Throughout its existence, MUNRFE proved to be an Organization with the high level of professionalism and accountability. With each project led by a project leader and his/her team MUNRFE maintains organizational flexibility without compromising on effectiveness. Desire to learn, sense of ownership, opportunity to contribute to development attracts hundreds of talented students to MUNRFE each year, effectively making it one of the largest and one of the most successful youth-led NGOs in the Russian Far East. MUNRFE is the Organization of the knowledge era - people are its main and the only asset. We understand it and strive to provide members with opportunities to realize their own vision by being in the Organization. We delegate responsibilities, remove predicaments for personal development and motivate members to set and reach their goals. Self-governance of our Clubs allows dozens of members to experience being in leadership positions. High internal motivation which stems from understanding and practicing of principles of leadership in our Organization is a fundamental source of our competitive advantage. 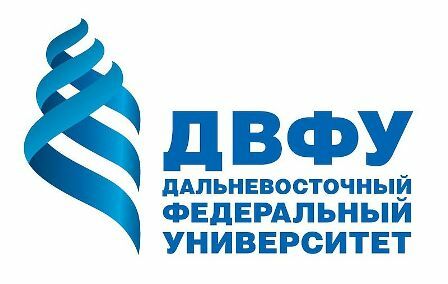 We believe that our efforts develop leadership of young leaders, provide opportunities to stimulate personal growth and influence regional development, thereby fostering evolution of strong and democratic Russia.